Kid trailers provide a great way to share your adventures with those you love. With our 12mm Thru Axles for Kid Trailers, you can attach a Burley Trailer, Thule Trailer or any brand of trailer to any bike with a rear 12mm thru axle—mountain, road, fat, cross, e-bike and everything in between. Our Kid Trailer Axles are designed for maximum strength and ease of use in attaching your trailer. 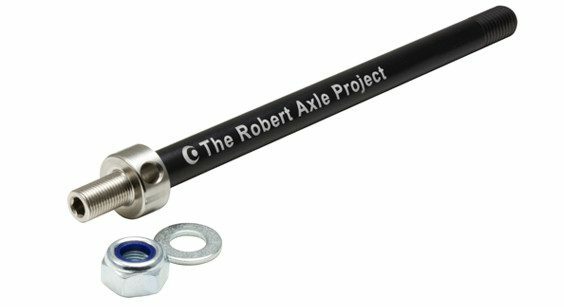 The Robert Axle has a stainless steel 10x1mm threaded stud to attach the hitch supplied by your trailer manufacturer. 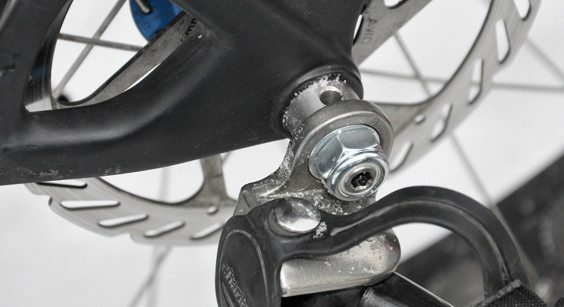 Simply use our Fitment Selector to find the thru axle designed for your bike. Replace your stock axle with your Robert Axle, install your trailer, and off you go with your kids in tow. Robert Axles are designed, tested and made in Oregon, USA. We oversee all production and testing and make no compromises in quality or safety when attaching your precious cargo! Thule, Chariot, Burley, InStep, Trek, Croozer, Doggy Ride, Carry Freedom, Schwinn, Hamax, Nordic Cab, Aosom, Everyday, Wandertech.